This time around, I decided to interview my new unofficial editor, Linda Terry! 1. How long have you been a Christian and which denomination are you? Tell me about your journey as a Christian so far. I heard the Gospel of Jesus Christ from the time I was a toddler. There was no specific aha moment, just a growing confidence in Jesus Christ as my only Lord and Savior. My mother took us to non-denominational churches, and I eventually moved as an adult back to the Presbyterian Church, which my family (Cherokee and Scotch-Irish) had been for generations. I was fortunate that God brought me to Himself when I was so young. I was spared from rebelling, which so many church-raised kids experience. My life, because of chronic illness, has been difficult. But God has remained faithful, and has used everything to mature me. Saying that, I still have a good ways to go! 2. What reason would you give as a claim for God’s existence? Personally, my relationship with Him and His interaction with me is what compels my confidence in Him. And the sheer complexity of the universe, and our planet in particular, the interaction of so many intricate systems in our eco-system…makes it hard for me to even consider that it was all just serendipity. As for the Bible being the Word of God, the more I look at nature, the more I see an intelligence in it that mirrors the mind and spirit I respond to in the Bible. I don’t worship Nature, but I do see it as a likely creative effort of Jehovah, of Jesus. 3. Is there anyone in your life who inspires you to be a better person? If so, who and why? Right now, I would say my friend Heidi. She has only been a Christian for 6 years and she exhibits so much spiritual maturity, so much understanding of God’s Word, has a fearless and intelligent dedication to reaching people with the Gospel of Christ, has endured incredible trials of faith with courage and patience, and yet is always transparent about her own battles with doubt and frustration…heck, I wish everybody had a Heidi in their life! Just watching her has humbled me and encouraged my faith in the power of God to transform a life. I thank God for her! 4.You come from an environment (liberal California) that does not seem to look favorably on Christian doctrine. How have you dealt with this? Christians are not a minority here in California. The politics are liberal-dominated now, but the impression of California being a completely liberal state comes mostly from Hollywood and the wealthy in Los Angeles, both of which are highly visible to the rest of the world. Ronald Reagan was our governor at one time, and no one was more conservative than him. Personally, I don’t make a big fuss over those statements against Christianity unless they are directed to me, and then I avoid the us versus them/I’m right and you’re wrong attitude. I’m more interested in presenting the Gospel, living like Christ and encouraging people to consider Him. As far as debating theology with people who too often don’t even understand our position, I try to clarify it with gentleness. 5. What occupations have you had and what do you do currently? I have a rather patchwork resume! I started out working for a childcare agency. I was for four years a writer/researcher/asst. editor at Thru the Bible Radio. Over a five year period I was the legal assistant at a firm of lawyers and worked in the Appeals department of NC Medicaid. And as an avocation, I worked for seven years part time at Carolina Tiger Rescue as a feeding team leader, tour leader, etc. At present I am retired because of illness, but I am active in my church in prayer and Bible study groups. I also am a member of one book club and a Jane Austen Reading Circle. 6. What is your favorite Bible verse and why? 7. You are an avid fan of Sci-fi and fantasy. Why do you feel the writers of this genre seem to paint Christianity, if not religion in general, with an unfavorable brush? I don’t see this as a universal antipathy toward Christianity or religion. Each writer and producer is unique. And many Christians write or perform in sci-fi and fantasy productions. The power structures in Hollywood and New York do hold sway over the entertainment world and publishing. And both have agendas that are worldly and threatened by Christian doctrine. So yes, there is a promotion of negative attitudes. What astounds me is how often atheistic and agnostic writers will echo biblical themes without realizing it. I think this puts the lie to their anti-biblical stances. 8. Who is your favorite character in the Bible besides Jesus? That is a really hard question. There are so many great characters! I admire Joseph, Daniel, Ruth, St. Paul. I’m a Barnabas, myself, my gift being that of encouragement. So I most identify with him. There’s a term I’ve learned from other aspies (I highly recommend Jason Hague’s blog and Thautcast, which is on my blogroll to the right of your screen). It’s “Curebie”. A Curebie is someone who thinks autism should be cured. If you were to ask me if I”d like to be “cured” of my autism, I’d probably say “Sure, and while we’re at it, cut off my left hand.” You see, I’m left-handed. If I were to lose my left hand, I’d be unable to feed myself or do many other things. Sure, I could relearn and build up the strength in my right hand, but it’d be difficult if not impossible. Yes, I understand that there are different degrees of severity in the autistic spectrum. I have a cousin whose son is much further down the spectrum than I. He can’t even go to the bathroom properly. He can’t even speak. So, yes, I’m aware that not everyone with autism is as “functional” as me. But that’s not my point. We are all born with a defect: original sin. People with handicaps shouldn’t be seen as burdens. They should be seen as people. And by helping them, I don’t mean “throw money at them or reduce them to a status that will make them more complacent so they’ll vote for you.” That’s what politicians seem to think. No, I would rather see disabled people get a hand up, not a hand out. I learned this in my years I spent in Special Education classes in school. I was in Special Education classes from third grade until my junior year in high school. But even after I was “mainstreamed”, I still retained what I learned from socializing with the students in those classes. I didn’t treat them any differently, as I had seen my peers do. I don’t see myself as useless. Yes, my autism causes problems. I can speak and socialize with others, but I have difficulty seeing what is acceptable. But there’s little I can’t overcome. So, please, don’t focus on what I can’t do and what limits me. I am a person. That’s all that should matter. The Goblet of Fire is the book that changes everything. Before, the books were light-hearted romp. Now, it began to get darker. The first “on-screen” death. I’m convinced Rita Skeeter was created as a stab at those who were making outlandish claims against the series. Like them, Rita is prone to write lies in her articles, rather than actually researching the events. This has dire consequences in the later books as her articles become accepted as gospel by the masses. Viktor Krum is one of the contestants in the Triwizard Tournament, which is the central focus of the story. The Triwizard Tournament is an event in which three wizards from the top three schools in the Wizard World are given a series of tasks to test their abilities. This is a formula that has been used several times, most notably in the story of the Greek demigod Heracles, who had to complete twelve labors as penance. We meet Viktor before the tournament when he competes in the Quidditch World Cup at the beginning. There is much suspicion of him because his school, Durmstrang, is well-known for its prowess in the Dark Arts, but the reader quickly learns he’s not to be feared. He even has a brief fling with Hermione. Finally, we have Mad-Eye Moody. Moody is the most famous Auror, which means it’s his job to track down dark wizards. So naturally, he’s paranoid. He becomes the newest Defense Against the Dark Arts teacher and is immediately attacked by the book’s secondary villain, Barty Crouch Jr. Barty then impersonates him with the help of a Polyjuice Potion. Following Cedric Diggory, Harry is entered in the tournament because Voldemort enchants the Goblet of Fire. (By the way, Cedric is named after Cedric Diggory in The Magician’s Nephew, the sixth book in CS Lewis’s Magician’s Nephew.) Draco is enraged that Harry is picked and starts a campaign, making students wear buttons showing their support for Cedric rather than Harry. In spite of this, Harry and Cedric actually work together to achieve their goal, but this costs Cedric’s life. I have to admit, I was floored when I saw Cedric die. So, what lessons are in this story? I think the biggest lesson is when Dumbledore tells Harry “We must face the choice between what is right and what is easy.” Why is it the detractors completely miss this wonderful line? Many times in our lives, the right move is often the hardest to discern. Another lesson is when Hermione starts a campaign to liberate house-elves. Harry and Ron reluctantly help her and receive scorn from their peers, but they stick with her out of loyalty. This shows that we should continue to support just causes, even if we are mocked or misjudged by peers. 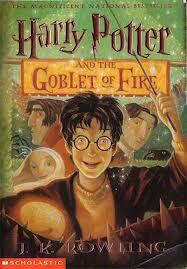 The Goblet of Fire is my all-time favorite book in the series. It shows that Rowling is willing to take chances and give children a dark story. this post is dedicated to the memory of Caroline John and Elizabeth Sladen. The 70’s began the transition from black-and-white to color. A new producer, Barry Letts, had signed on. He would be considered one of the show’s best producers. I should also note that he was a Buddhist, and many stories from his tenure were influenced by this. All that was needed was a new Doctor. And thus, the Jon Pertwee era began. 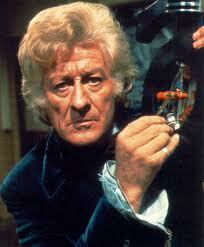 Pertwee was born in Chelsea, England. Acting ran in his family–his father was actor Roland Pertwee, and his cousin Bill was in the comedy Dad’s Army. There’s even a connection to Doctor Who: Pertwee’s godfather was Henry Ainley, father of Anthony Ainley, the fourth actor to portraytThe Master! Pertwee was also an officer in the Royal Navy, and was one of the few survivors of the HMS Hood after it was sunk in WW II. This was also when he acquired the tatoo that can occasionally be seen on the Third Doctor. After the war, he became a well-known comedy actor. He also appeared in The Navy Lark, which also became one of his most famous roles. He was also a spy! Quite fitting, considering his era seems like a serialized James Bond movie. During his era, Pertwee felt a familial connection with the cast and crew, especially Katy Manning, Barry Letts, and Roger Delgado, the first actor to portray The Master. After he left Doctor Who, Pertwee took the title role in Worzel Gummridge, which earned him fame as well. He also did voice work for SuperTed and video games based on Terry Pratchett’s Discworld books. Pertwee’s era had two openings. The first was the final use of the howlaround. In his final season, the first tunnel opening appeared, beginning with the episode “The Time Warrior.” There was also a disco version of the song, complete with Pertwee “singing” lyrics. During the 60’s, a typical season ran around 40 episodes. In the 70’s, this went down to 25-26. 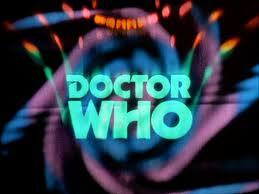 Beginning with Pertwee’s second season, no Doctor Who serial lasted longer than 6 parts. 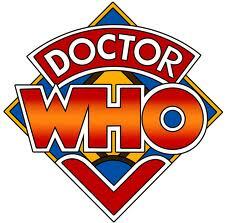 I love the Pertwee era! It’s so much fun! The cars (“Bessie” and the “Whomobile”), the Master, and even Sarah Jane Smith’s earliest appearances are all great to witness. They tried making the Doctor something akin to an action hero, even having him do “Venusian” aikido. And best of all–no missing episodes! True, some of the restorations of what was originally lost are in black-and-white, but it’s better than nothing. I love Lethbridge-Stewart! He’s the perfect foil for the Doctor because their philosophies are so opposed. And yet, they still maintained a great friendship. I should also mention that when Courtney died in 2011, the episode “The Wedding of River Song” worked it into the plot as a memorial by revealing that the Brigadier had died in his sleep. I thought it was a fitting memorial to such a great character. Shaw was a scientist who worked with UNIT and was nearly as smart as the Doctor himself. This created a problem because Letts and script editor Terrance Dicks felt that she was difficult for the audience to relate to. (John herself also felt she should leave the show as well because she had become pregnant with her first child. In spite of this, I thought she was a great character. I should also mention that Shaw appeared in the Doctor Who spin-off PROBE. When I first saw Jo, I was displeased. She was such a klutz! Thank God they developed her character and turned her into a courageous woman. And I loved her guest spot in the Sarah Jane Adventure “Death of the Doctor”. It’s revealed in that episode that she married the man she met in “The Green Death” and they had a family. They now travel around the world as protesters. Sarah Jane is everything you could want in a companion: feisty, courageous, witty, and pretty! She’s my all-time favorite companion and I was pleased to see how she started out, as I was only familiar with her run with Tom Baker. I’ll talk more about her next time, but for now I want to say that I really miss Elizabeth Sladen. The Doctor accidentally travels to a parallel world where Britain is is fascist. (and the Brigadier is now a Brigade-Leader and wears an eyepatch). This story is paced so well, I felt more like two and a half hours had passed instead of three and a half. I can sum up the awesomeness in one sentence: The Master summons demons! (okay technically they’re demonic aliens, but it’s still awesome) And I love the scene where the Brigadier nonchalantly orders a soldier “Chap with wings there, five rounds rapid” when they spot a demon. The Doctor is forced to travel to the planet Peladon to change a key event in their history. It’s an excellent use of a formula that has served the show well. The story has some great twists and the BBC gives it high marks on their Classic Doctor Who era website. The Master and the Sea Devils, “cousins” of the Silurians, join forces in the most epic battle of Delgado’s tenure. Also contains a great swordfight between the Doctor and the Master in which the Doctor actually eats the Master’s sandwich! This is Jo’s shining moment–she actually manages to defeat the Master’s hypnosis by mentally reciting nursery rhymes. This is Sarah Jane’s first appearance and a great introduction to my favorite companion. It’s also written by my favorite writer for the classic show, Robert Holmes. The Master invents the TOMTIT (stop snickering back there! ), a device he hopes will conjure a monster named Kronos, who will give him control over time itself. I have two problems with the episode. First, the TOMTIT’s appearance looks like something Sigmund Freud would’ve dreamed up. Second, it feels like they stretched it out too slowly and it would be better suited as a 4-parter. This story proves that dinosaurs aren’t always awesome. The story moves way too slowly and the dinosaurs look awful. I know I shouldn’t expect Ray Harryhaussen-level designs, but they should at least look decent. And while I like the way the Whomobile looks, it should actually contributed something of value to the story.